At around the same time in which I had my article about sustainable fashion published on Vida Magazine, an event was held to promote the idea of fashion being cleaner and more environmentally-conscious. In between the pressure of giving in to a materialistic, consumerist society and churning out as many fashion micro seasons as possible in a year, this is a tall order. One asks, is anything being done about this issue that is at the heart of environmental pollution, a situation that will eventually become untenable and unsustainable as the reserves of fossil fuels dry up? Admittedly, most of us, myself included, are caught up in a fashion whirlwind that entices and excites us. The promise of new pieces and updated styles cannot quite be quelled but if not done in moderation it would lead to many impulsive purchases while piling more things than we really need. So with a healthy dose of curiosity and some warranted concern for the environment, I headed to Caviar and Bull for Blue Fashion for Blue Growth, the idea being that such growth is positive when it does not disregard the environment. This event, which consisted of a conference plus mini demonstrations, was held in conjunction with the Large Ocean Nations Forum, held in Malta on between 2–4 October 2017. The opening was led by Mr. Morten Stemre, who spoke in the name of the Nordic Atlantic Cooperation. He explained the concept of ‘Blue Fashion for Blue Growth’ and its aims, namely to create fashion whilst supporting the maritime industry. Although it might have sounded a tad controversial at the mention of using animal products such as sealskin and fish skin, he clarified that these creatures are not ever killed purposefully for their skin, but the latter is a by-product that remains and would generate more waste if not used. In countries such as Iceland and Greenland, people fish or hunt for food so it is not animal cruelty but basic survival. This may not be understood by animal lovers, but the idea is using the skin that would be disposed of anyway and ironically would be polluting the environment more than if they were used to make garments. Stemre’s presentation was followed by a brief address by the Honorable Minister for The Environment, Sustainable Development & Climate Change, Dr José A. Herrera, who praised the Blue Fashion initiative for its efforts to promote sustainable growth in the ocean economy through fashion. The next segment of the event saw foreign designers and business owners presenting their own case studies. First up was Ms. Marianne Mørck, one of the co-founders (together with her daughter) of the Norwegian label Mørck. The latter advocates for the utilisation of natural and traditional materials, ensuring ethical processes. Next was Ms. Dominique Benzaken from the Seychelles who spoke about the Kreolor Enterprise. 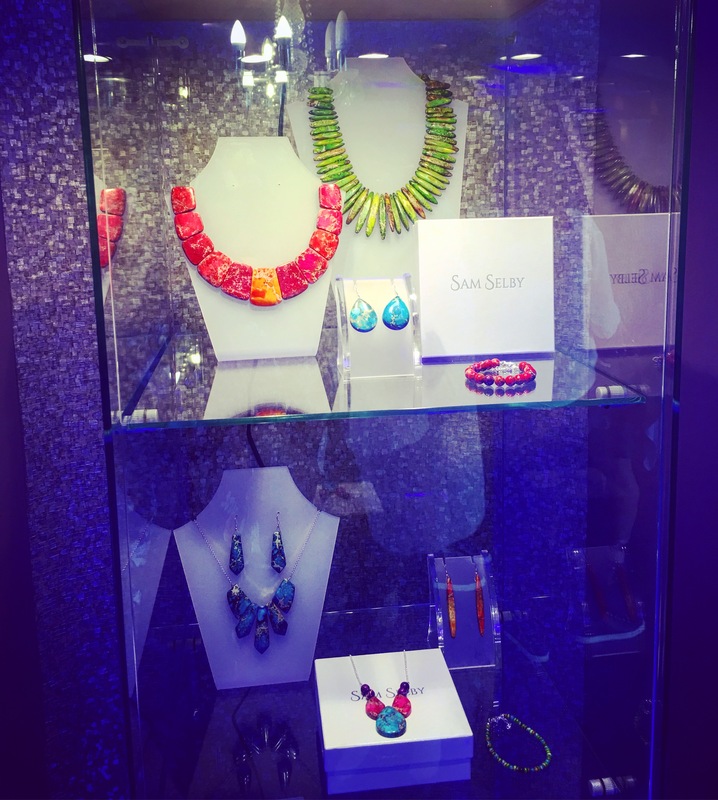 Her products include jewellery made of locally sourced natural products such as coconut and coco de mer shells, local palm seeds cultivated pearls, and oyster shells. The third presenter was Brit designer Sam Selby representing Malta. She presented her own collection of jewellery made from sea sediment. Her work is now well-known as it has been showcased during Malta Fashion Week. 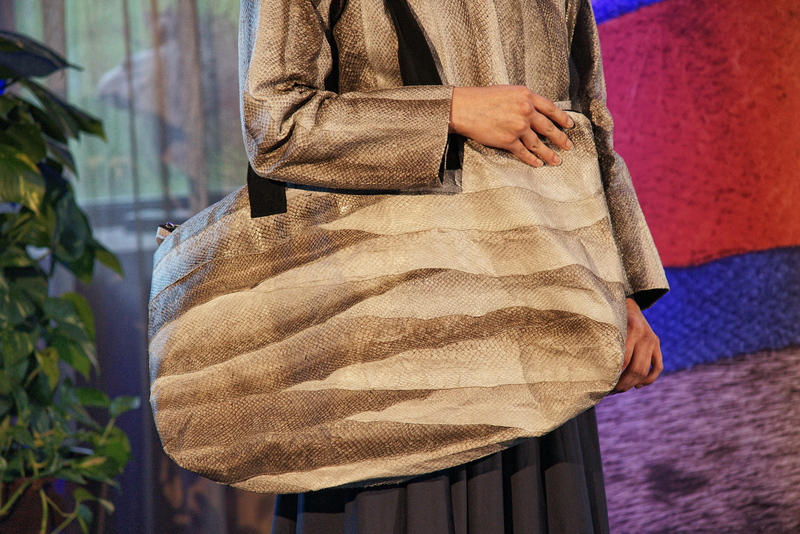 The next three were all finalists from the international Blue Fashion Challenge (held at the end of August in Norway). This challenge was set up in Project Runway style to encourage Nordic-based designers to contribute to a more sustainable textile industry. 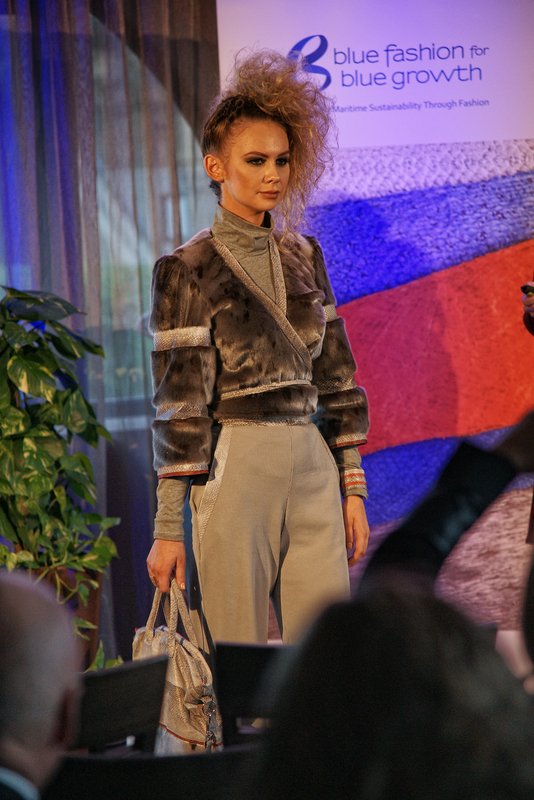 The winner presented first, Ms Sissal Kristiansen from the Faroe Islands. Her ‘Shisha brand’ consists of knitwear items. 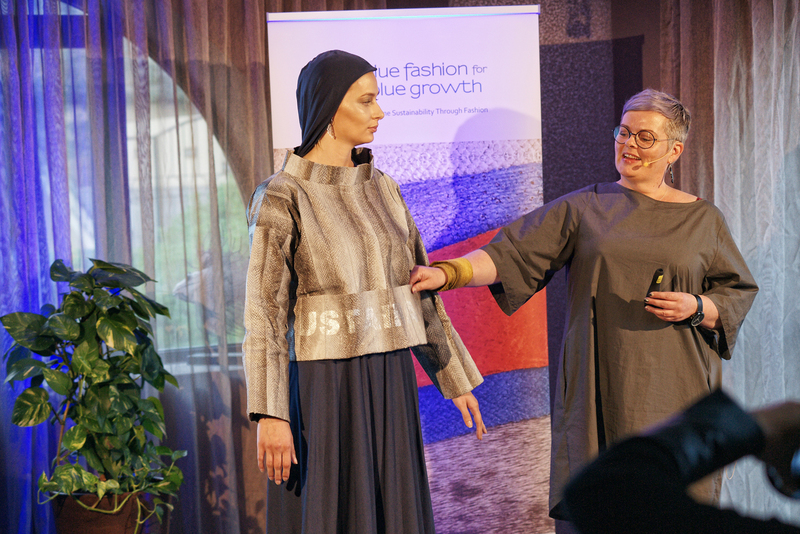 The other Blue Fashion Challenge finalists, Ms. Korbrun Yr Gunnarsdottir, founder of Korbrun from Iceland, and Ms. Louise Lynge, founder of Nuuk Couture from Greenland, also showcased their ‘Blue Fashion Collections’. 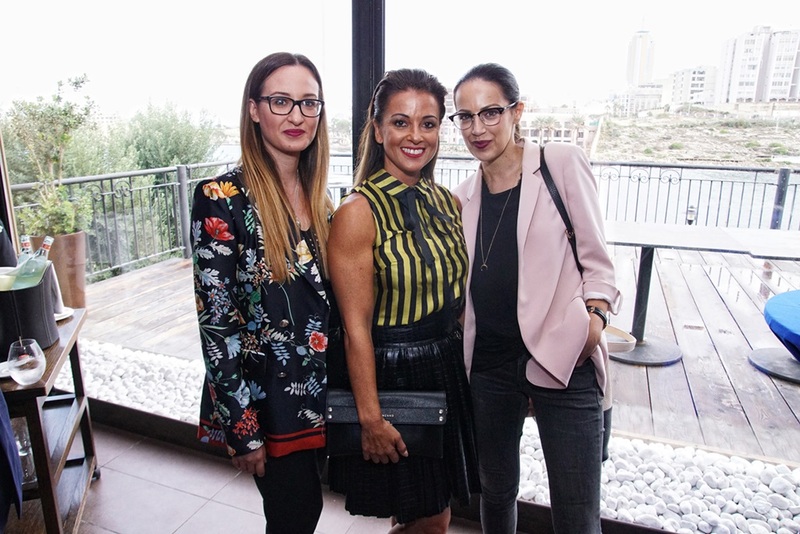 Following the very interesting and well-organised conference, thanks to Davinia Mallia Pule and Francesca Pace, a reception was held courtesy of Caviar and Bull, where it was possible to mingle with the designers and ask them further information about their designs. It would be indeed ideal if fashion could take such steps in this direction.